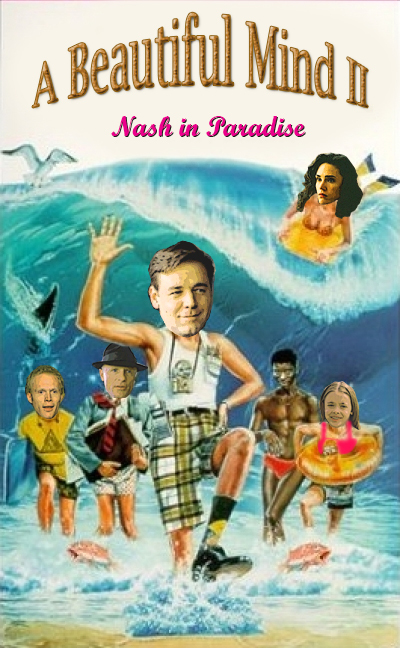 A few weeks ago I entered a Photoplasty contest at Cracked.com titled Movie Sequels Too Awesome to Exist. It may come as a shock to you, since you likely view me as a god, but none of my three entries made the cut. So I thought I’d share them with you, my supportive blogging community, so at least someone sees them. 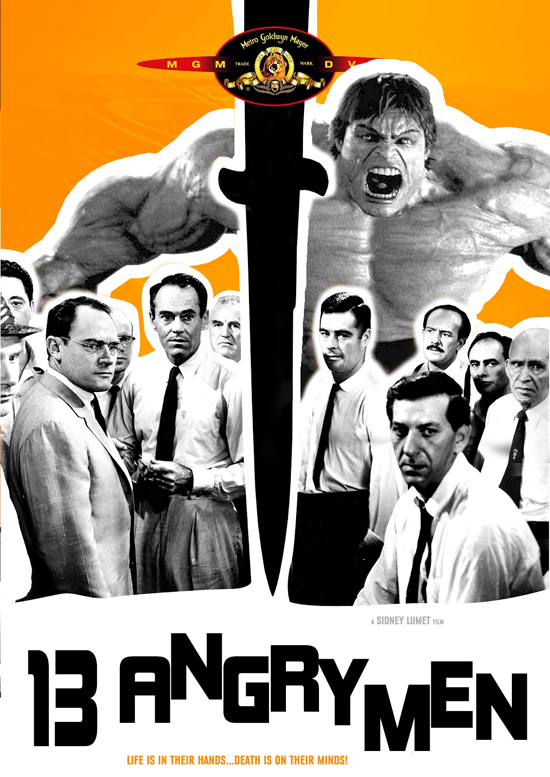 I like the 13 angry men one. I LOVE these! BEST in show!! Yes, the show of this post! That’s awesome! But no wonder you didn’t win, you’re far too funny for cracked.com. What a flatterer. Thanks dude! Billion Dollar Baby…too awesome indeed! Unfortunately Alice Cooper was blacklisted from Hollywood after Monster Dog. This Made Me Laugh So Very VERY Hard!!! I Love The Alice Cooper Face Instead Of Hillary Swank’s, And The Inclusion Of A Revenge Of The Nerds Salute!!! 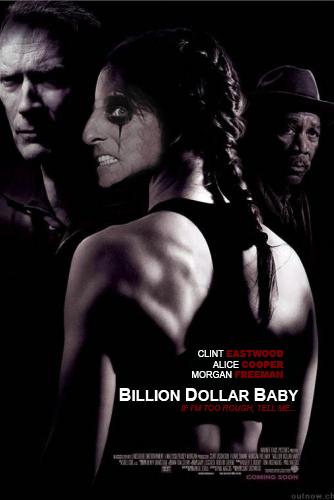 In Billion Dollar Baby, Alice looks into a mirror, sees how old he’s gotten and scares himself into a coma! It up to Clint to pull the plug but Obama (sitting in the empty chair next to him) won’t let him. will generally be looking for work on a per project basis. work from home and I finally succeeded.